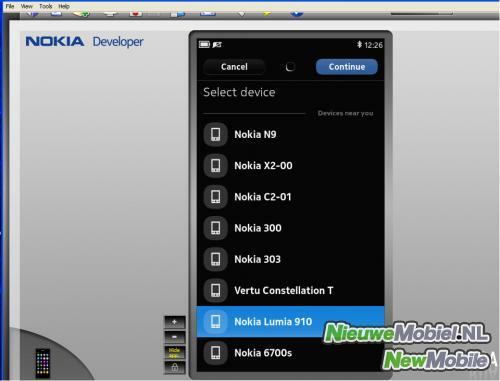 A new upcoming Windows Phone running Lumia smartphone namely the Nokia Lumia 1001 has popped up on the Nokia Remote Device Access (RDA). Now, the RDA is designed for developers to use to test out their code on hardware that they don’t actually have physical access to. So when a TechCrunch member was using his Nokia 500 at RDA, he noticed an unfamiliar device during a Bluetooth search. 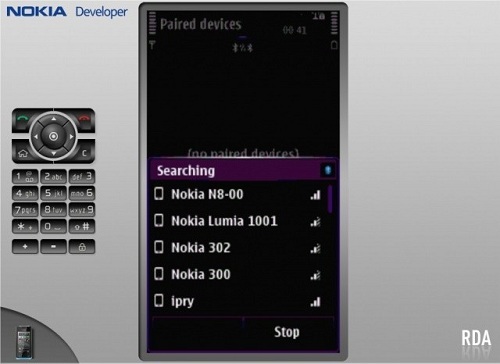 While he thought that it might be just a co-incidence, to confirm it, he also tried going in for a search with a Nokia N9 and again found the Nokia Lumia 1001 in the Bluetooth search. So this almost confirms that there is a device out there which we would see arriving very soon. Also with the numbering, until now we have seen Nokia limit itself to the Lumia 900 as the highest, but as the Lumia 1001 it gives us a hint that the upcoming Windows Phone 8 smartphones from Nokia, could be in the 1xxx series and the Lumia 1001 could also be the first Windows Phone 8 smartphone from the Finnish giant. Also do you remember the Nokia Lumia 910, which went on to appear on a Dutch Retailer site and was rumoured to arrive with a 12 MP camera? Well a couple of days back even the Nokia 910 appeared over the RDA as you can see below. We are excited to see how both of these devices turn out to be in real flesh but it seems we’ll have to wait a bit. Also we do not have any more information on these devices but as leaks have started to pop in, it’ll not be too long until the Lumia 910 and 1001 are out in reality.